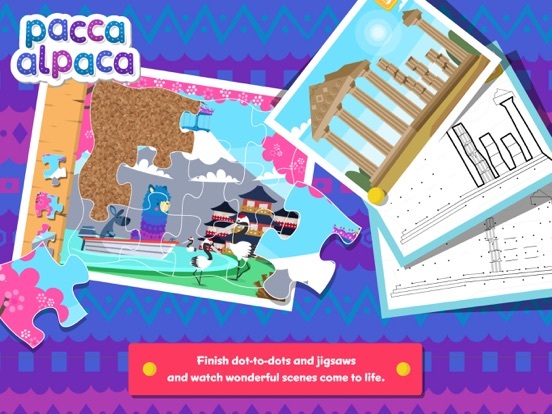 Pacca Alpaca is an incredibly entertaining and educational app that children are going to love. 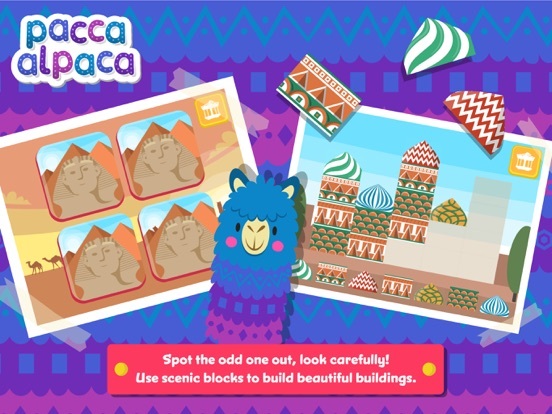 With loads of activities including connect the dots, puzzles, spot the difference and so much more, players get to explore the world with Pacca Alpaca as they play. 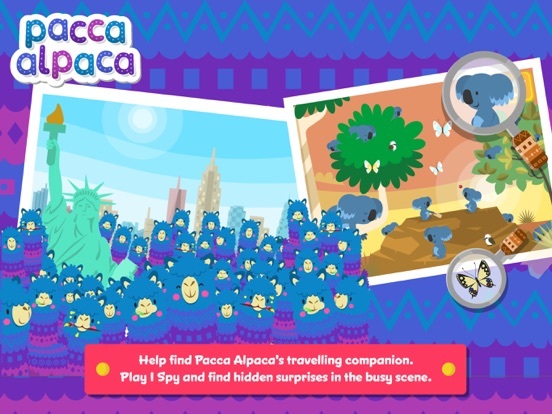 Pacca Alpaca Travel Playtime is easy to use and great for children of all ages! 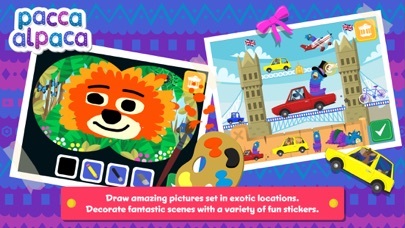 The images used within this app are brightly colored, engaging, and very well done. The developers have also done a great job with the sound effects and interactive features throughout each activity making this app highly entertaining for children of all ages. The user interface is quite simple and doesn’t require a lot of instruction or assistance for children to enjoy. With simple tap and drag functioning little ones can easily enjoy Pacca Alpaca Travel Playtime on their own. 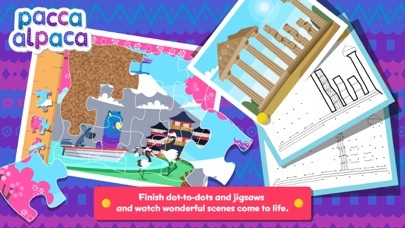 While this app doesn’t include any of the traditional educational activities, it does include activities that will inspire children to use logic and problem solving skills to complete puzzles, connect the dots pictures, and find the difference activities. There is also an opportunity for children to learn about a variety of countries since each activity is connect with a new place. For instance, the Giza Pyramids, Sydney Opera House, and the Statue of Liberty are all included in addition to many other well-known attractions. Players also have the opportunity to learn the flags for each of the 23 countries that are included as they are displayed and named within each activity. 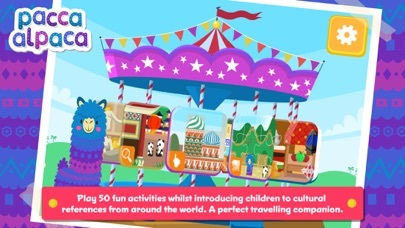 There is no doubt that children are going to love playing Pacca Alpaca Travel Playtime. With over 50 activities to enjoy players are likely to stay entertained for hours. There is a nice variety of activities including drawing/coloring, connect the dots, building blocks, and sticker pages that children can explore. 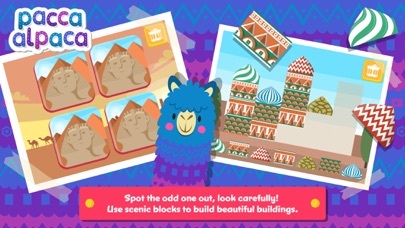 Spot the difference, hide and seek and the puzzles included are also sure to bring a lot of joy to children of all ages. 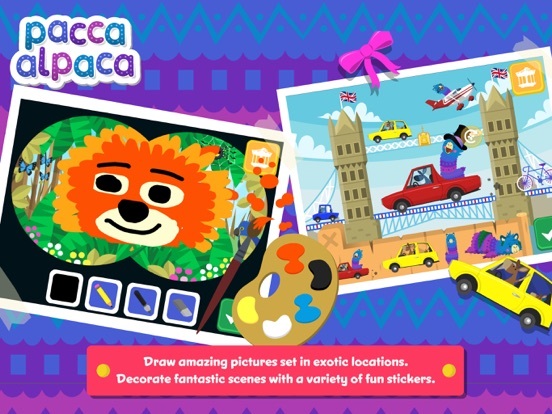 The developers have done a fabulous job making this app highly entertaining and engaging for children of all ages, ensuring they come back to play many times over. Priced at just under two dollars this app is an absolute steal! With over 50 activities and the ability for children to learn about different cultures, flags, and practice their problem solving skills this is one app both parents and children can appreciate. 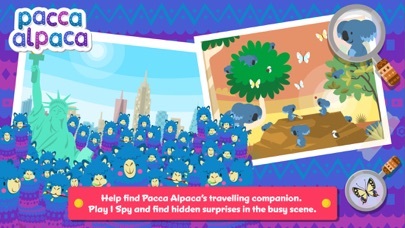 Simply put, Pacca Alpaca Travel Playtime is worth every penny and then some. 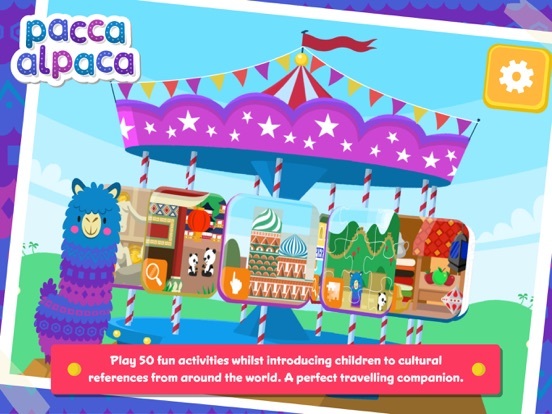 Pacca Alpaca Travel Playtime is not only lots of fun to play but also extremely child friendly. The developers have created an app that allows children to easily move through the activities without a lot of assistance from parents using an intuitive user interface. With simple tap and drag functioning, little ones can explore, play, and learn independently for hours.